Made with the peel, pulp, and juice of an entire orange, this cake is extremely moist and flavorful. A friend baked one for me a long time ago, using a recipe from an American cookbook. But it turns out these cakes originate in the Siciliy region of Italy, where oranges, particularly the deep red blood orange variety, are plentiful in the winter. I found a recipe on the blog Christina’s Cucina that incorporates Greek yogurt into the batter, which I thought was a nice touch. 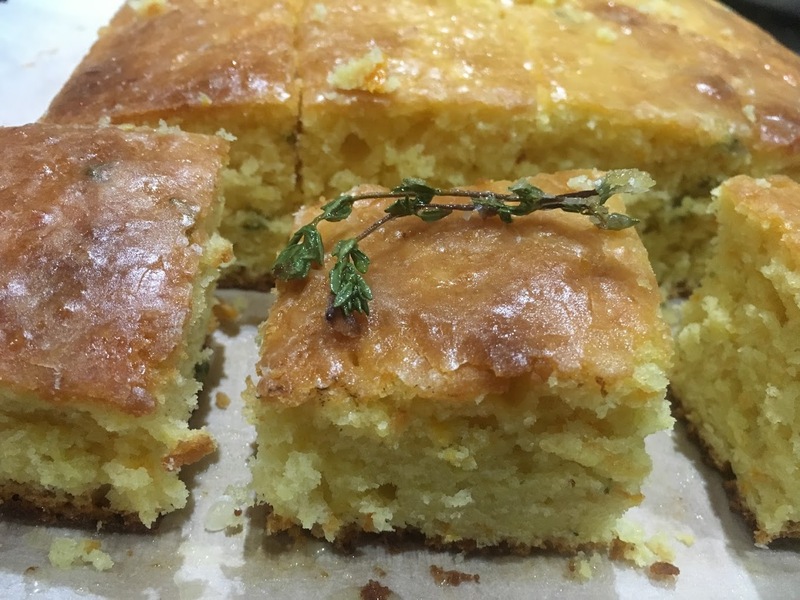 Resisting my usual urge to tinker with recipes, I made only two minor, optional changes, baking the cake in a square pan instead of a round one (this type of cake is also frequently made with a bundt pan) and adding fresh thyme leaves to the batter and glaze. Thyme has a subtle citrus flavor that pairs nicely with lemon and orange. To make the glaze, I boiled whole thyme sprigs with freshly squeezed orange juice and sugar, and then used the candied thyme branches to decorate the cake. However, if you don’t have thyme on hand, the cake would be just as delicious without it. One final note: as the author suggests, it is better to weigh the ingredients in grams rather than use measuring cups. Preheat oven to 350 degrees F. Butter an 8-inch round spring-form pan or 8-inch square baking pan, and line bottom and sides with parchment paper. Lightly butter the surface of the parchment paper. 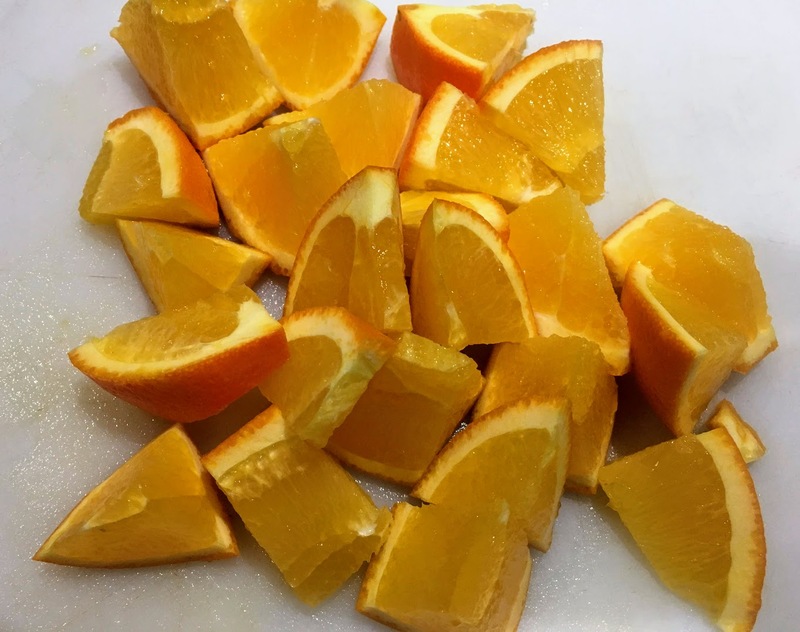 Cut orange into pieces, leaving the peel on. 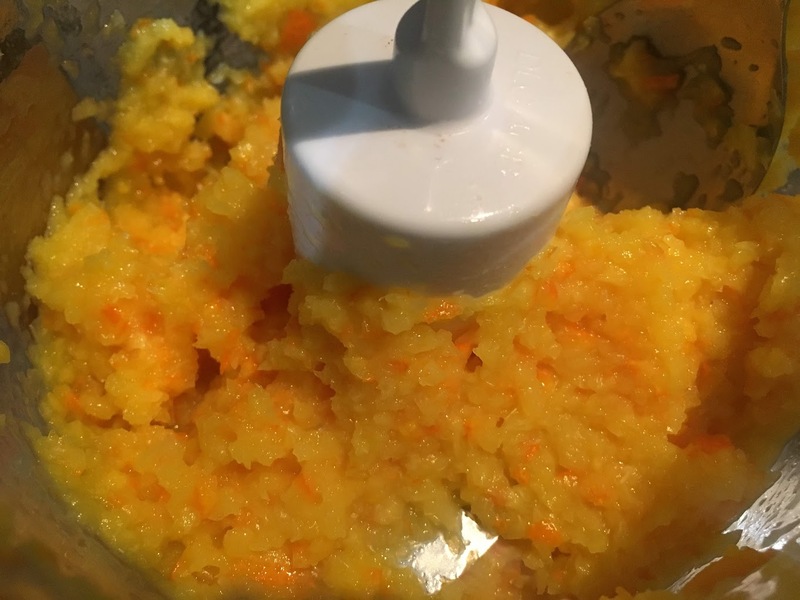 Blend in a food processor until nearly pureed. Set aside. In a small bowl, sift together flour and baking powder. Set aside. In a large bowl, either by hand or with an electric mixer, beat eggs and sugar for several minutes, until light and fluffy. Mix in butter ( if butter is too cold, feel free to heat up in the microwave for around 10 seconds at a time, until very soft but not melted.) Slowly stir in flour mixture until fully incorporated, then add Greek yogurt. Stir in orange. Pour batter into prepared baking pan. Bake for 50-60 minutes, until golden-brown spots appear on surface and a toothpick inserted in the middle comes out clean. Let cool for 15 minutes. Meanwhile, prepare the glaze: in a small saucepan, combine sugar, freshly squeezed orange juice, and thyme sprigs. Bring to a boil over medium heat, then simmer until syrup-like, around 5 minutes. Remove thyme sprigs (they will have a candied appearance from cooking in sugar) and brush glaze over the top and sides of the cake. When cake is fully cool, cut into squares or wedges, depending on the shape of the pan you used. Decorate with candied thyme sprigs, if desired. Store leftovers in an airtight container at room temperature.